Birds need to know a lot about each other. They need to know things like who will be the best parent; who will pass on the best genes; who could defeat them in a fight; and which offspring is worth investing in the most. 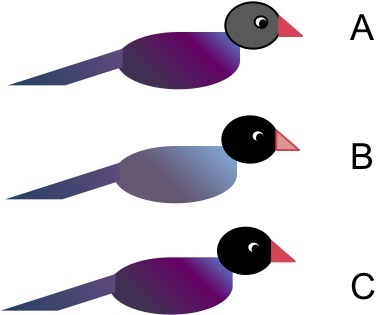 One of the ways that birds can perceive such information about each other is by observing each other’s color signals—and the more researchers study these, the more it becomes clear that birds can tell a lot from color alone. These individuals are clearly different: A has a paler head, B has a paler bill and is less brightly shiny, and C is brightly colored in all aspects. But what does that tell us? When you’re little, you play with toy dinosaurs all bright red or blue or painted spotted with many colors. You fill coloring books with purple velociraptors taking down plaid apatosaurs. Then you get older and learn about camouflage; and you watch nature documentaries of brown felines taking down brown gazelles in tall brown grass; and—zebras notwithstanding—you start to think that probably dinosaurs weren’t plaid after all. Well, buck up! They—at least some of them—probably did look really awesome. 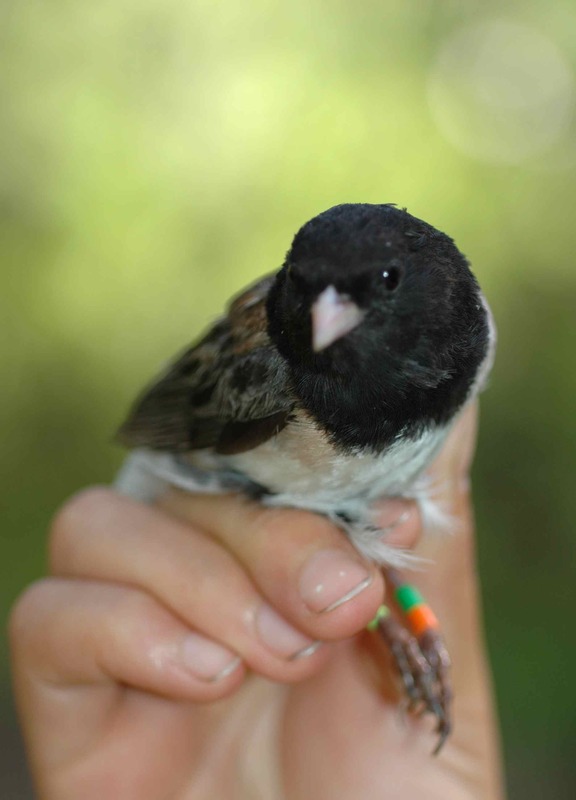 Melanic color-dependent antipredator behavior strategies in barn owl nestlings. By Valentin van den Brink, Vassilissa Dolivo, Xavier Falourd, Amélie N. Dreiss, and Alexandre Roulin. Behavioral Ecology, 2011. I’ve been slacking off on the Featured Papers, since it’s the field season and I’ve been reading almost nothing less than usual; but this paper is too crazy not to mention. 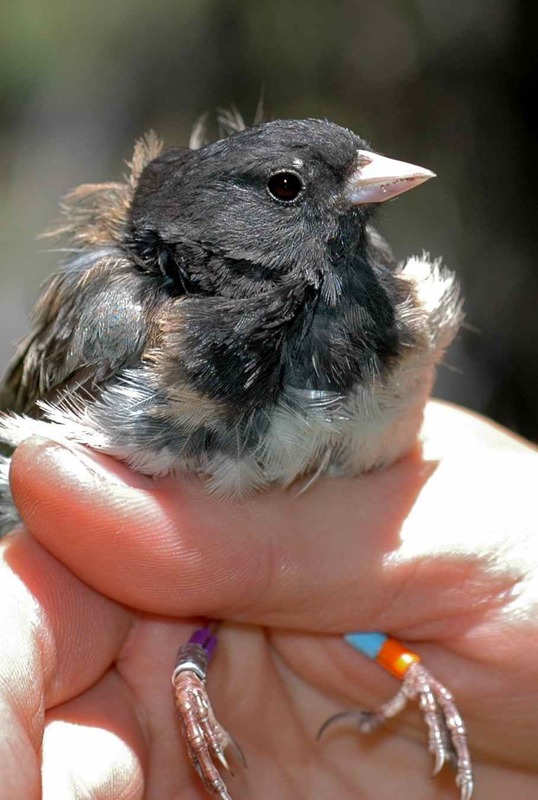 Color abnormalities don’t seem to be very unusual in juncos. There is a junco who sings outside my work building who has white splotches all over him! 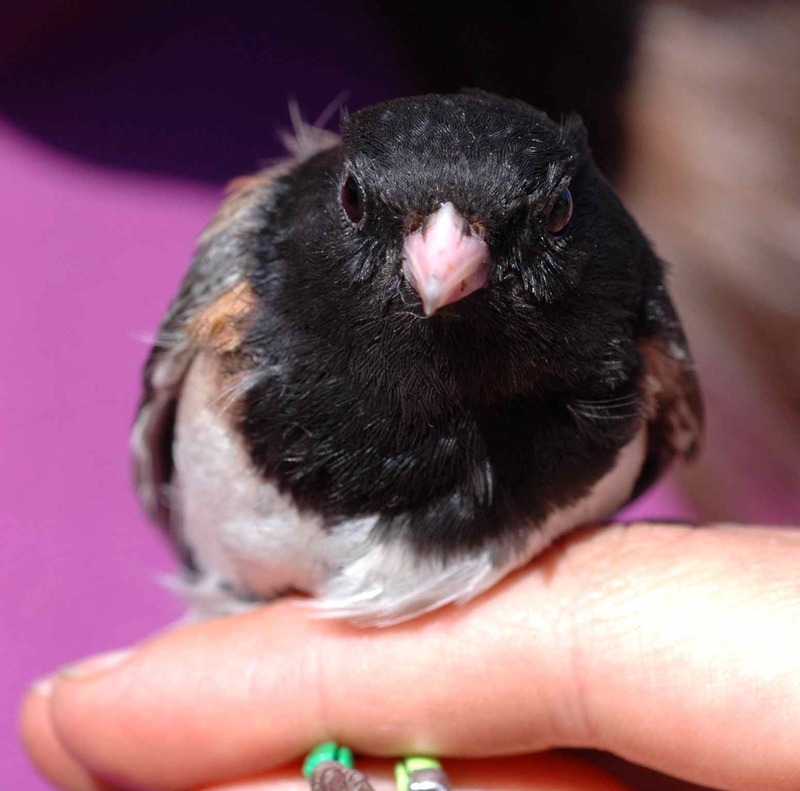 None of the juncos we’ve caught have been that extreme, but we have found a few with unusual spots of color on them.